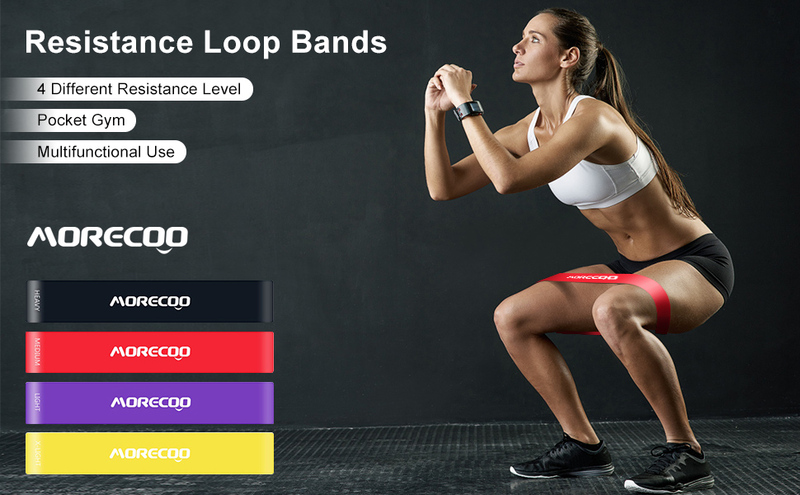 The MORECOO resistance loop exercise bands make from 100% natural latex with non-toxic materials make you have a comfortable workout experience,suitable for any people at any ages. It can build up your body, shape the perfect figure. To meet the better yourself, just need to Own it, Do it, and never say you can't. MORECOO resistance loop bands are made of 100% natural latex –free of non-natural Thermoplastic Elastomer (TPE) and no rubber smell –and come in 4 varying resistance levels.This makes them perfect whether you are just starting to workout or a seasoned workout warrior.Our extra light and light bands are great for beginners,while our medium and heavy exercise bands are targeted for more intermediate and advanced strength training. While these resistance bands are often used for sports and fitness, physical therapists love these bands as rehab bands to help them rehabilitate their patients. They are also perfect for use by women after pregnancy and birth to keep and restore their bodies in shape. 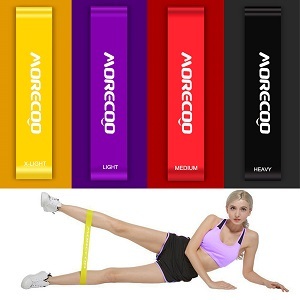 Our products come with detailed instructions,add the bands to your trainning programs.The MORECOO exercise bands can help you to strengthen the muscle of your legs,arms,squats,biceps,triceps,etc.The bands has different strength, allows you to increase the intensity of your workout gradually. 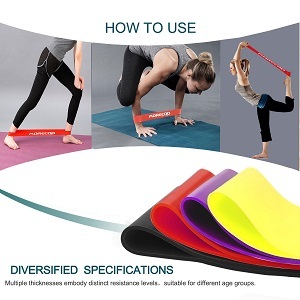 This resistance band set can be integrated seamlessly with every popular workout program including Yoga, Pilates, and more. Or use them for general exercise, stretching, strength training, power weight programs. The included carry bag makes it easy to take your bands with you and do any workout away from home or your home gym.